As I have mentioned previously, I have been a big “podcast addict” (coincidentally that’s also the name of the android app that I use to listen) since discovering podcasts in early 2017. I don’t know how long they existed prior to me discovering them, but it’s been one of the best things to happen to me and my financial planning career. I find them to be very informative and pertinent to what I do. I tend to gravitate towards the financial topics, with many help me learn more about my craft. Some are self-improvement, and some are down right interesting to me. The amount of material I soak in has been tremendous, and if you are like me and continuously want to learn more, I’d look up ones relevant to you. Podcasts have even replaced music during my daily workouts, which I call learning-while-burning! On that note, I thought I would share some of the ones I listen to. A Dave Letterman-like list of 10 podcasts that are in my ear on a regular basis. Maybe you will want to join in too! First I will say that there are many many many podcasts out there for wide varieties of topics. If you do a broad search you come up with sites like this one who list their favorites, so feel free to search away! Second, this post is not meant to rank podcasts or give them some kind of score. In fact, I feel I am still cracking the tip of the podcast iceberg and still have alot to learn. But since I am often asked which ones I personally listen to, I’m sharing my Top 10 at the moment. Keep in mind this list changes on occasion and there are always ones that drop off, or land on, my current radar. The Dough Roller Podcast – this guy Rob Berger sounds like a decent guy, and provides his perspective on many personal finance topics. Sometimes he takes a deep dive into everyday money issues, other times he responds to listener questions. He often discusses ways to minimize costs and shares ways that he does his own personal investing. He talks in simple language so it’s easy to follow and relate to his thought process. So Money – I am a big fan of Farnoosh Torabi, not only since she has a cool name but she is also a fellow Penn State alumni like myself. She brings on inspiring guests and picks their brain for their best money habits. She covers a broad array of areas ranging from money saving to debt management to career path advice, and does so in an upbeat and inspiring way. I told her I am hoping to someday be a guest on her show! Retirement and IRA Show – as the name implies, these guys discuss matters pertaining to retirement planning and IRAs. Jim, Chris, and Peter will also deep dive into annuities, social security, and income strategies. They’ll cover many of the same topics that I encounter with clients, so I use their podcast as a way to hear what other experts think about real life situations. They sometimes take 1-2 hours on a particular subject. I recommend scrolling through their topics and if you want to learn more about an issue – they will list it on the description. If not, move on! 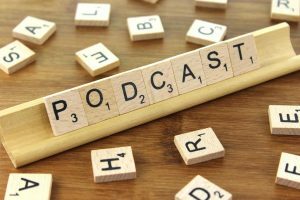 I also listen to these self-improvement podcasts including Between Now and Success by Steve Sanduski, Financial Advisor Success by Michael Kitces, and The Learning Leader Show with Ryan Hawk. These are geared towards finance professionals like myself. They often interview people who share their success stories and expertise. And rounding out my most frequently listened to podcasts are Freakonomics (“exploring the hidden side of everything”), TED Talks (and Ted Radio Hour), The Jocko Podcast with Jocko Willink, and The One You Feed. These cover a wide range of inspiring, self-help, and educational topics. I usually scroll through and download the ones that I would be most interested in. So there you have it – what I am listening to in 2018. I am always interested in learning about others, so if you have any you recommend or would like to share….please do!